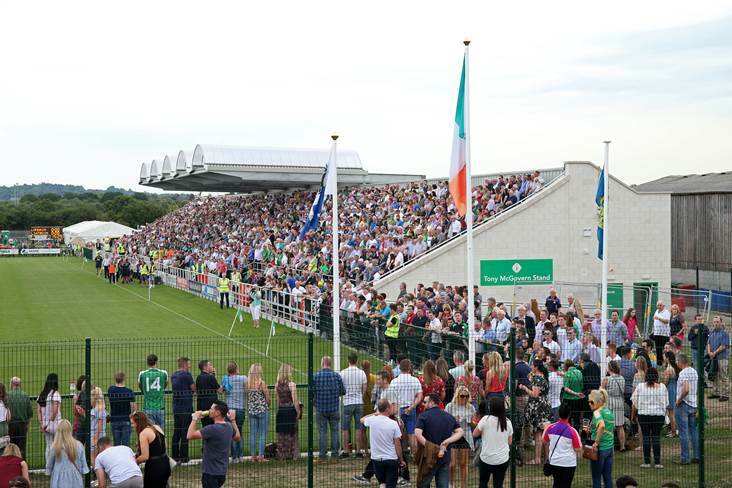 The new Tony McGovern 1,950 seater stand was full for the Connacht SFC quarter-final clash between London and Leitrim at McGovern Park, Ruislip. London county board are concerned about the impact counties who are raising money in the city is having on them. New London chairman John Lacey is set to raise the issue with GAA president John Horan as the practice of counties, clubs and even the GPA fundraising in cities with big Irish populations like London, New York and Boston becomes commonplace. Lacey blasted in the Irish World: “It’s not acceptable; we have to try and arrange funds just the same, but they never take that into consideration. How would they feel if we went into their counties and tried to raise funds?